Forest of Dean Conferencing - Home If you are looking for conference facilities in the Forest of Dean, Gloucestershire, the Main Place, Coleford is an ideal venue. The building is modern and convenient and fully DDA compliant. on hourly, daily and longer period rental. If you are looking for a conference venue in the Forest of Dean, Gloucestershire, the Main Place, Coleford is an ideal location. The building is modern and convenient and fully DDA compliant. 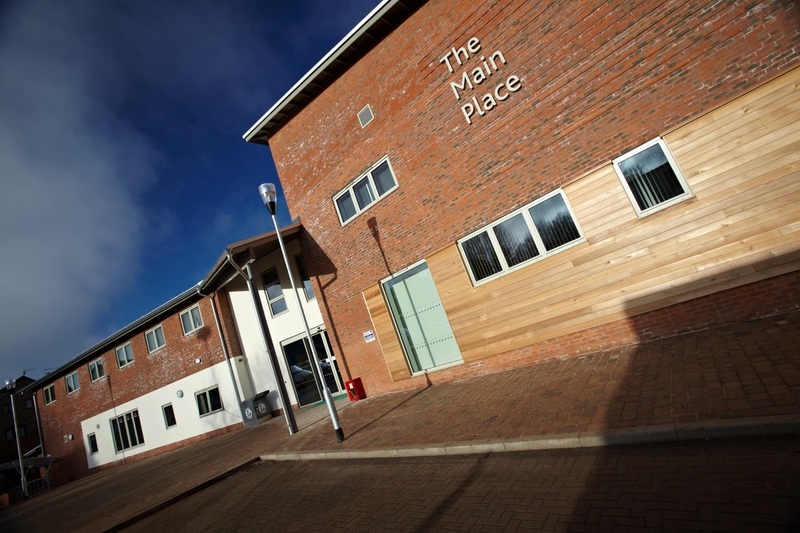 The Community Enterprise Centre within the Main Place is built to the highest quality environmental standards and fitted out to high technical specification. A range of modern media facilities is available to users including WiFi throughout, large TV screens in the meeting rooms, projectors, laptops, white boards and flip charts. We offer a catering service for every budget from beverages & biscuits to cold buffets and hot two course lunches serviced. Please visit our package page for your catering requirements. Prime Find - A no obligation, free office brokerage service to a wide variety of businesses, organizations and charities.